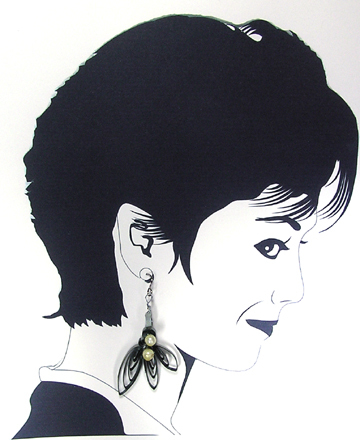 � � Hunter Green teardrops in three sizes join together to create a feathery-filigree earring, striking in its simplicity. Accented with pearls, these are a great gift for the holidays. 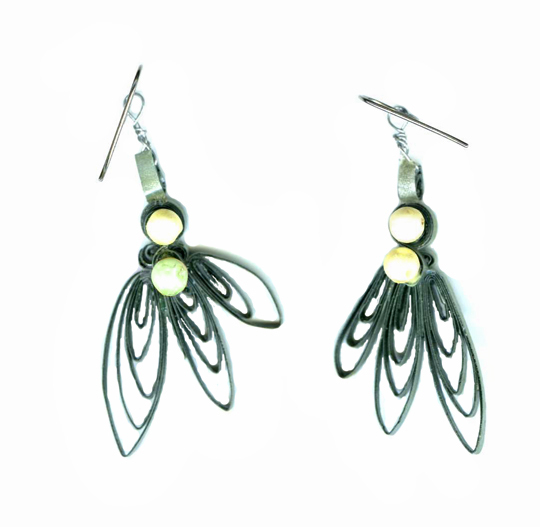 Created by the art of paper quilling by Jo Davis, they are light weight and perfect for delicate ears.